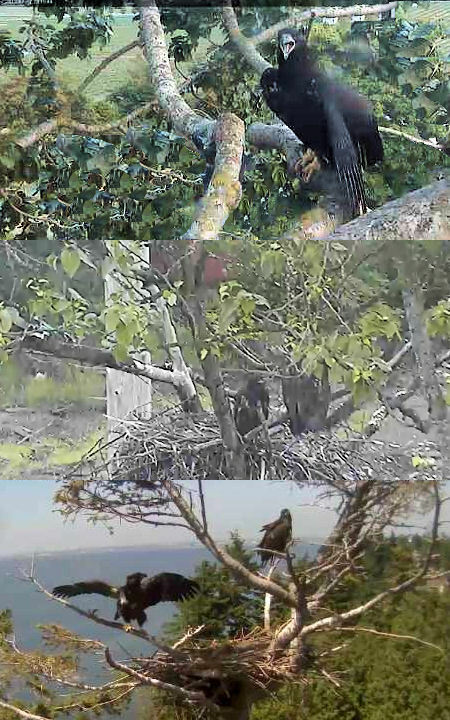 (by JudyB) The six young eagles from the lower mainland of British Columbia who became worldwide media stars as they grew from little balls of fluff to powerful juvenile eagles with a wing span of seven feet or more in just 12 weeks have now set forth to explore the world. Linux from the Delta 2 nest in Delta, Sky, Starlet and Sorrior from the Lafarge nest on the Vancouver waterfront, and Echo and Foxy from the White Rock nest on the shores of Boundary Bay are all doing what generations of eagles have done before them – heading north in search of the feast known as the salmon run. The “kitchen sink” button on the end of the first line opens the second line, with more options, including color for fonts.